This Barcelona plan in Sunrise Country Club in Rancho Mirage is one of the more popular models. 1581 sq. ft. has been extensively upgraded inclusive of newer kitchen, baths, custom cabinetry, skylight domes, light fixtures, and that is just a partial list. 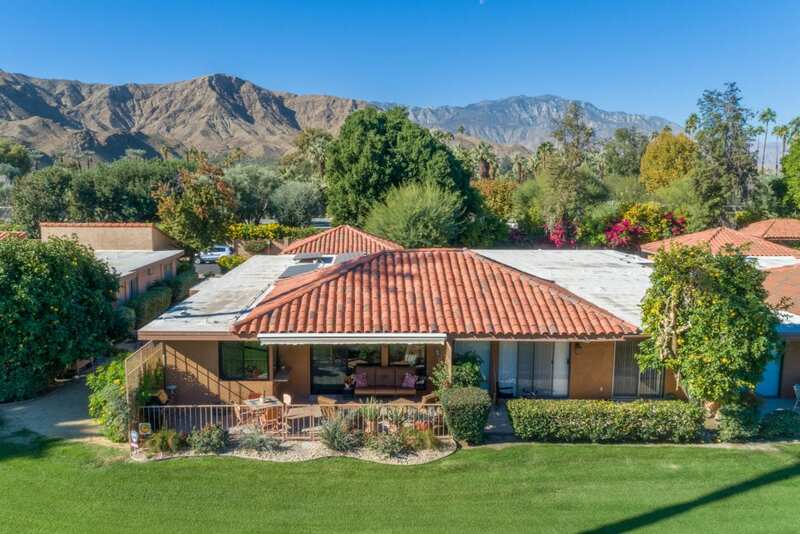 The property faces East and affords you great views of the course and you won’t feel the pain putting the AC down as the property also has a prepaid solar lease that is for the next 17+ years. Combine that with the newer HVAC system, newer windows and doors and you will discover the efficient operation of this property. The patio has been extended on this property creating a relaxing and comfortable living environment that also has a retractable awning to shade you from the elements. Direct access into the property from the two car garage. Sunrise CC is one of the best values in the Coachella Valley and one of the best kept secrets too with access to club sports, golf, fitness and numerous social activities, clubs and events.